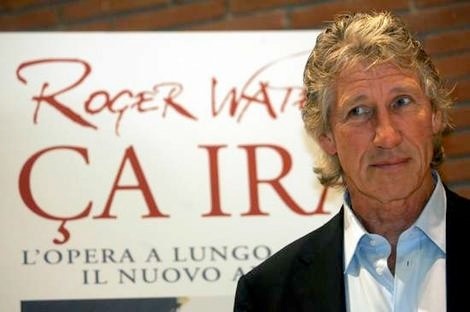 ‘Ca Ira’ – Roger Waters’ opera premiered in Rome in 2005. We looked after projection and HD playback. The content had been created in video form as a series of stills timed to the ‘album version’ of the recording, we elected to use an EVS high definition slow-mo machine for playback. This enabled us to slip and slide the video playback to the naturally variable tempo of a full orchestra and choir. An interesting show ensued with Creative Director, Sean Evens following the score, Richard listening to the soundtrack from video and slipping the video ‘DJ style’ and Roger pacing up and down a few feet behind us!